Consulting services. This type of individualized consulting can be given on-site or via a remote connection to SAP. With remote consulting, customers receive immediate and updated technical support and answers to their questions. SAP also gives weekend support when upgrades or installations are done outside regular working hours Customers open the connection so SAP consultants may directly access their systems and evaluate the problems online. Once the consulting session is finished, the customer closes the connection. Maintenance services. This is the basic and most common type of support for customers in the preproduction and production phases of a SAP Solution implementation. This service deals with answering questions and helping to resolve the errors or problems with the system. For maintenance, SAP has set up a helpdesk, or hotline, which monitors the calls and resolves them or directs them to the appropriate SAP expert, and a first-level customer service team, which is in charge of resolving the problems, prioritizing the calls, and, if needed, referring questions to other experts. Customers obtain this service via phone, fax, the SAP Service Marketplace, or the SAPnet-R/3 front end. It is available 24 hours a day, 7 days a week. For example, if you have a severe problem at 5 a.m., log it in on the SAPnet-R/3 front end, give it a "very high" priority (meaning "my system does not work"), and you might expect a fast call back from Japan, Philadelphia, or Walldorf, Germany. Preventive services. The primary one was the EarlyWatch service, which ensured successful and efficient installation of the SAP solutions in all phases. This service makes regular (usually once a month) performance checks and analyzes the system to identify potential problems and help system managers and SAP administrators tune the system and realize its full potential. Soon after an EarlyWatch session, SAP sends the customer a report with the results of the analysis and recommendations for avoiding potential problems, such as database tablespaces becoming full, shortage of system parameters, and buffer tuning. In 1999, SAP launched the EarlyWatch Alert mechanism, which proactively monitors the core technical indicators in the systems and sends that information to the SAP network, as well as provides administrators with significant alerts in case of problem discovery. SAP has been constantly evolving its role in the preventive service area for customer self-service, and part of that strategy is the deployment of the SAP Solutions Manager. SAP provides additional services, such as the development request service, which submits enhancement requests, and the first customer shipment (FCS), now Ramp up programs, which gives selected customers the opportunity to test new SAP solutions and releases functionality before the products are officially released. For each of these processes and phases, SAP and its partners have an extensive portfolio of services. As stated previously, SAP has made online services through remote connections its preferred and most convenient way to support customers. For this reason, obtaining a network connection to SAP became critical in any SAP project. SAP has built a worldwide network of support servers for customers to use to obtain the support they need for successful implementation and operation of their SAP systems. Customers can also download patches and upgrades from those servers via ftp (a file transfer protocol very common in TCP/IP networks), and directly from their Web site at service.sap.com. SAP also offers extensive information and correction services for customers and partners through the Internet by means of the SAP Service Marketplace, which gathers all and more of the facilities previously found on the Online Service Systems (OSS) but with much more content. However, customers will still need a remote connection to SAP for certain services, like EarlyWatch, Telnet, remote upgrade, and others. The only thing customers need in order to gain access to these servers is a remote connection to the nearest support server. Currently, SAP has support servers in Walldorf, Foster City, Tokyo, Sydney, and Singapore. This is the connection that you use for the OSS, EarlyWatch, and remote consulting. It is the only way that you can permit the SAP experts to log on to your system and solve problems online. Imagine the costs saved in travel. Currently this connection can be easily established using the SNC (Secure Network Communication) protocol and digital certificates. Problem and information database (SAP notes), so that users can try to find the solution to their problems before they call SAP or send it a problem report. Looking and reading notes is a great way to learn tidbits about SAP solutions. Latest SAP news in the HotNews section. Up-to-date release, installation, and upgrade information. To have these very latest notes is a mandatory step in any installation or upgrade procedure of SAP systems. Online problem registry. Problems or questions are treated the same way (and sometimes better) and with the same priority as they are when registered by telephone. Training offerings and course descriptions. These have just recently been included. Access to the SSCR (SAP Software Change Registration), where customers can register developers and SAP repository objects and get the keys required to continue development. Downloadable Support Packages (formerly Hot Packages) for correcting system and program errors. Registration of Knowledge Products CDs. Downloadable installation or migration keys. 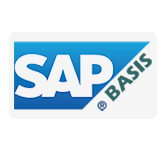 Registration of customer systems and request SAP licenses. Definition and management of service connections. Display of EarlyWatch Alert reports. Manager user accounts for accessing the system. SAPnet-R/3 front end has been for years the star service system provided by SAP and the most widely used by SAP customers and partners, especially consultants and administrators. The SAPnet-R/3 front end interface is intuitive and a very easy system to learn and use. SAP provides initial user accounts for accessing the SAP Service Markeplace or the SAPnet. Customers can create and maintain additional user accounts from within the SAPnet-R/3 front end. EarlyWatch is an SAP offering for preventive services, providing proactive diagnosis and analysis online. Through the connection, an SAP expert accesses the customer system and obtains all the information needed for preparing a report that is later sent to the customer. SAP is used to provide a free session before customer systems go into a productive stage. Subsequent sessions must be separately contracted. The first thing revealed in the EarlyWatch report is a summary diagnosis indicating the problem's level of severity found in the system. This diagnosis might indicate that most parameters are well tuned and that systems are running fine, or it might say that there are some problems, which can be either normal or critical—in which case, customers should solve them as soon as possible. The checkups done by the EarlyWatch service include detecting potential problems in the SAP applications, as well as in the database and operating system. The service provides information, for example, about tablespaces getting full, SAP system log error messages, buffer tuning, and database parameters. SAP systems have hundreds of parameters, with many of them directly affecting other values. The EarlyWatch team analyzes the past week's evolution of the system, and if it detects bottlenecks or an increase in processing times, it usually recommends new values for the profile parameters. With the EarlyWatch Alert system, the customer systems are automatically monitored and the data sent to SAP and collected locally or within the SAP Solution Manager.Figure 1-15 includes a sample of one of the initial pages of the EarlyWatch Alert report.